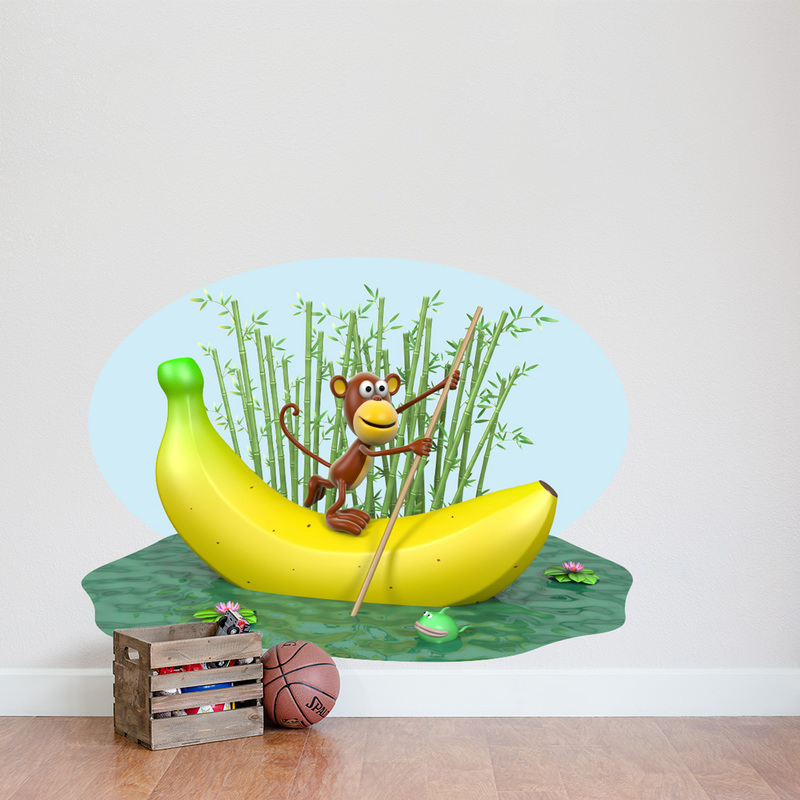 Float along with this with this silly monkey...that's bananas! The perfect addition to any kids room, nursery, or bathroom. 3D refers to the shading and lighting of the design.